Date: 19.03.2018 | House, Downtempo, Disco | Tags: Fashionstoremusic, M F Records, Soul-ty, Bahia de Roses, Tedjep Soulful House, Soulful-cafe, Ted Peters, Gianni de Santis, Deep X, Dreadboxx, Lady Mojo | Download Fashionstoremusic Vol. 1 (2018) for free. MF Records Belgium, young enthusiastic electronic label founded in by Michael Fall, brings you the best house, deephouse & progressive beats from around the globe with international artists from around the world. Proud to achieve a couple of Top hits & frequently being in Belgians official Ultratop hit charts. With the support of the performers Soulful-cafe, Gianni de Santis, Lady Mojo the contrast of this selection is filled. They developped their music performance together as backing vocals for TV producer John de Mol in several countries. All in coorporation with musicproducer Ted Peters who works with a variety of professional musicians from Barcelona in his studio MF-Records in Spain. 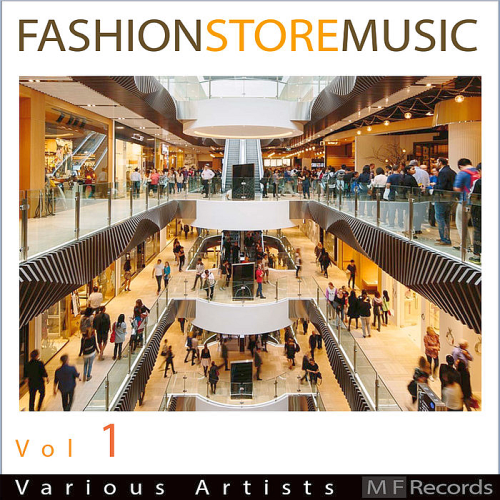 Compilation Fashionstoremusic meeting in the huge amount of tracks on each day and the mood, and maybe the same attitudes and beliefs!